Omega Xl works for me. I have had 35 years of low back pain. The cervical fusion helped the top side but did not eliminate the low back pain. Then surgery was performed on my lower back fusing two discs and cleaning up the area. Thought that would do it. Of course on heavy pain meds following surgery so took a while to see the trees. It was back...the low back pain. Had been praying about it for some months but GOD works at his own pace. 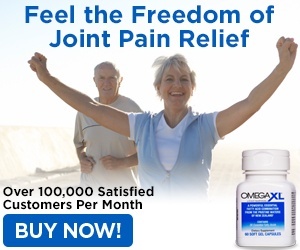 Then one day, a pop up came on my computer screen about OmegaXL. It seemed to address my area....pain and maybe inflamation...nobody could ever tell me why the pain was still there. It was a level 2, sometimes 3 and under the worst case senerio a 10 which only happened when I abused my back lifting too much, sitting too much, driving too much. 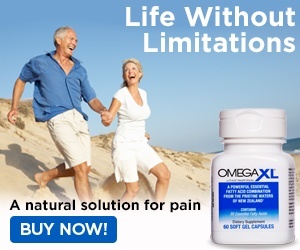 So I ordered OmegaXL to try. I did do several other things at the same time making it more difficult to identify the best solution used. Reduced lifting significantly. Stopped driving for a while. Walked as had been done off and on for years. Now am back driving most of the time. Still no lifting. Lay on couch on side now instead of sitting. Took my 30 days worth at 4 per day. Saw some definite decrease in pain level (which was every day not just now and then) about the end of 30 days. Reduced to one morning and one XL evening. My activity level did step up some. Regardless, pain level started to inch back up so went to 2 XL morning and 2 XL evening. Took about 7-10 days but saw improvement again. Going to stay with the 4 per day for maybe 2-3 months then step down to see what happens. As of today, I still know it is there but the cronic everyday pain has subsided substantially...less than one. Hallellula. God did send that Pop UP or maybe not. I endorse the product today and will reaffirm my position in a few months. I hope to stay where I am pain wise. I didn't like: Loud noise on telephoe. Review #1085113 is a subjective opinion of User1085113.